BEFORE YOU BUILD - TAKE A LOOK!! Stunning 2-story Romanelli Custom Home within gated community of Sage Creek! 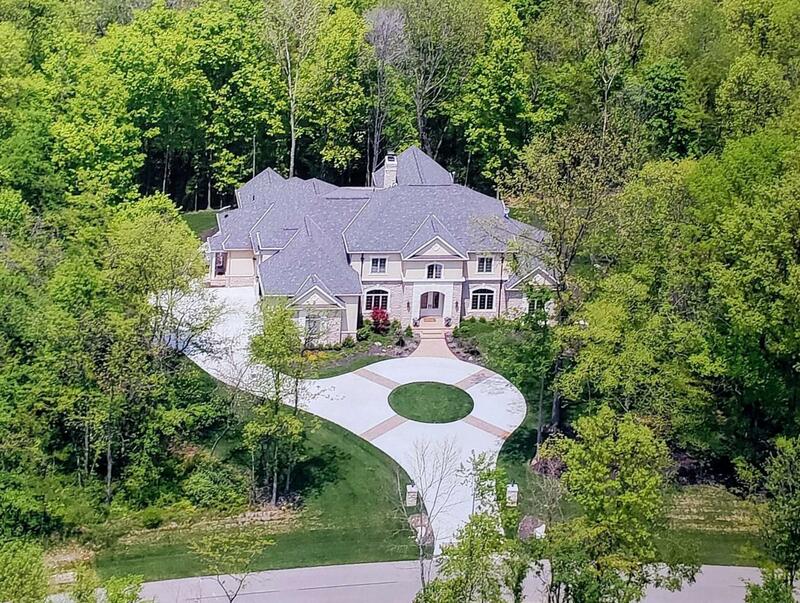 Situated on a private estate sized lot w/breathtaking wooded ravine views. 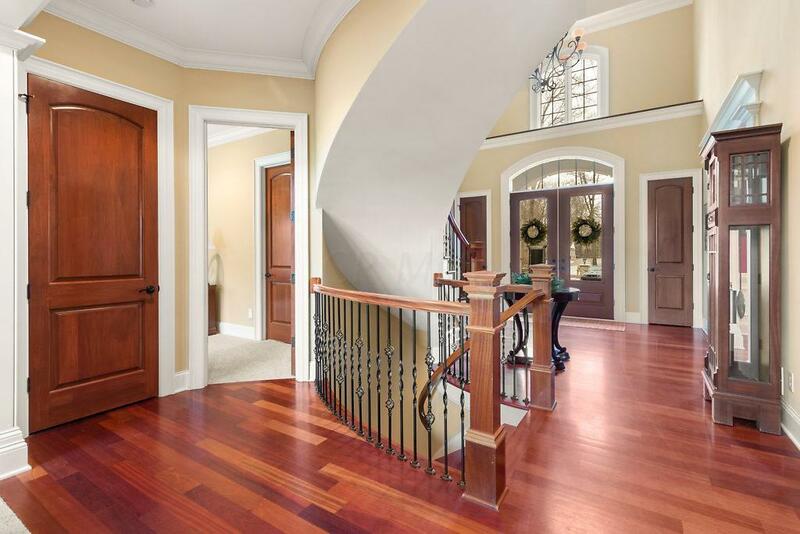 Built w/high quality finishes thru-out the open floor plan boasts 8,000 sf fnsh living space. 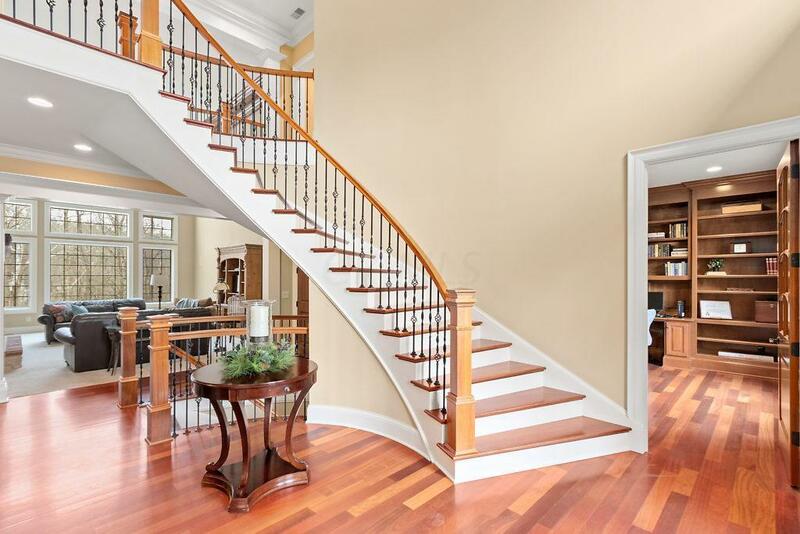 The Grand 2-story foyer w/bridal staircase opens to impressive Great Rm w/wall of windows & double sided stone F/P. The expansive kitch offers SS KitchAid appls, breakfast/sitting areas, F/P, custom cabinetry, & granite counters. Other features incl. Brazilian cherry hrdwd flrs, home surround sound, MudRm w/lockers, & huge fnsh LL w/REALLY COOL English-inspired Pub, F/P, Fitns & Media/Theater Rms, 5th BR, & full bath! Walk to Hoover Reservoir & quick drive to Westerville, New Albany, & Easton. PLUS LOW TAXES TOO!